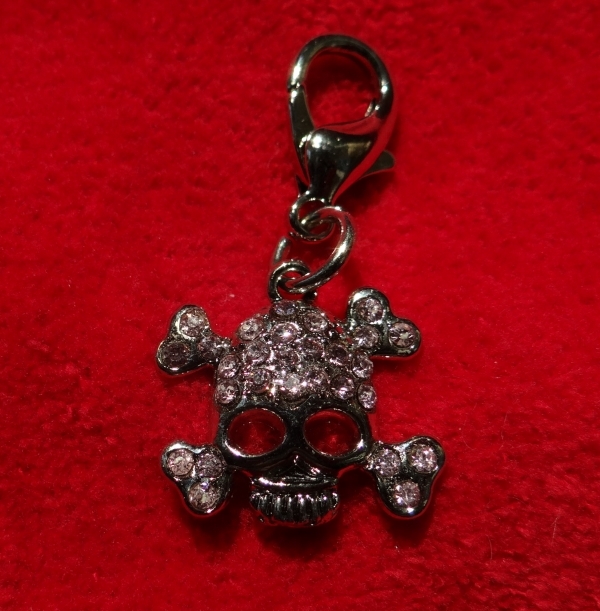 The Skull and Crossbones Dog Collar Charm by European Home Designs is embellished with rhinestones for a little edgy bling for your special pet. 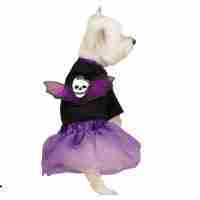 There is a lobster claw clasp for attaching to your pets collar. 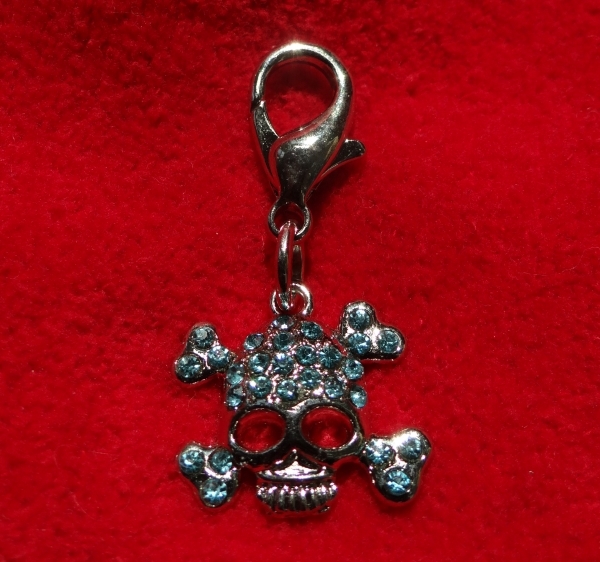 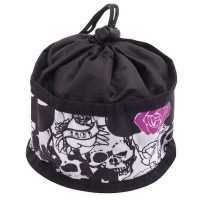 The Skull and Crossbones Dog Collar Charm measures 2" from the top of the clasp to the bottom of the charm and 1" across.